What’s a WebRTC app, exactly? Dave Michels (Journalist: Nojitter, Talkingpointz) recently posted this article pondering what makes a WebRTC app, a WebRTC app. It touches on some interesting points, namely “a WebRTC app is not defined by its wrapper.” Here is an excerpt from the post..
Google Chrome was the first browser to support WebRTC, and most of the new applications rely on Chrome in order to be plugin-free. Other browsers that support WebRTC include Mozilla Firefox and Opera. These browsers use much of the same code, yet compatibility issues exist because Chrome has considerably more capability than what’s specified in the WebRTC specification…. Headsets. You probably don’t think of them as a particularly exciting conversation topic for a high-tech cocktail party. But they are quickly becoming a key integral part of a knowledge worker’s communications endpoint set. The newest models look snazzy and they help users work in an ergonomic way, while being more efficient and taking better advantage of their communications tools. I cannot imagine my life without a headset. I think, going forward, as we become an increasingly services-based society with a larger portion of the workforce spending significant amounts of time communicating and collaborating using various forms of voice communication (desktop phones, web-based or thick clients, mobile devices, etc. ), headsets will gain even greater popularity. Frost & Sullivan’s Alaa Saayed and Francisco Rizzo just finished a study titled World Professional Headset Markets. They found out that the contact center (CC) and office (O) headset market bounced back in 2010 after a few years of negative growth. Global revenue in 2010 was $788.9 million, an impressive 19.5 percent increase from 2009. They are projecting a compound annual growth rate (CAGR) for professional headset revenues over the forecast period (2011-2017) of 10.7 percent. It appears that the increasing adoption of Unified Communications (UC) solutions is the main growth driver for headsets in the enterprise space. Headset vendors are beginning to differentiate UC headset sales from traditional headset sales. Frost & Sullivan estimates that approximately 10 percent of contact center and office (CC&O) headset revenue in 2010 came from UC headset sales. · Interact with a PC via USB dongle, USB adapter or base station. While many UC headsets offer superior sound quality, smart sensor technology, battery status notifications, and many other advanced features, these should not to be confused as being UC-only features. For a headset to be considered UC it must include the two aforementioned attributes. The majority of headset vendors have picked up on the UC trend and are developing partnerships with UC solution providers such as Avaya, Cisco, IBM, Microsoft, among others. They are launching UC-certified headsets that integrate directly into certain UC platforms and offer advanced functionality such as presence. First-generation UC deployments tend to use corded headsets and not wireless. The trend, however, has been to purchase wireless headsets once the corded headsets have completed their life cycle. The UC opportunity is also changing the channel, with system integrators taking a more prominent role. Frost & Sullivan believes that system integrators have the largest future CC&O headset growth potential. Overall, Frost & Sullivan believes that the UC opportunity is one of the most significant opportunities in the headset market’s history and expects this trend to significantly boost headset sales going forward. 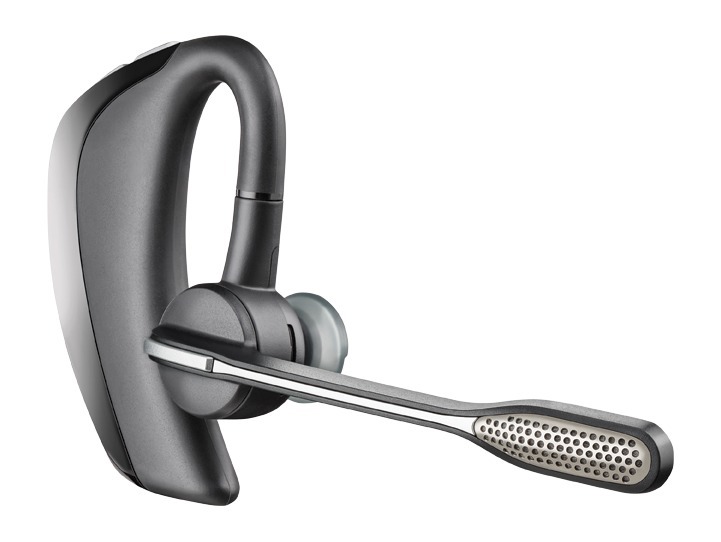 Plantronics’ Savi Office and the newly launched Savi 440 and Savi 700, Voyager PRO UC, as well as their Blackwire 200, 420 and 600 series are examples of advanced, UC headsets, interoperable with various UC technologies. Look at the Voyager PRO UC. It’s a Bluetooth headset, which automatically answers calls, transfers calls between the mobile phone and the headset, and when the user is on a mobile or PC call, softphone presence is automatically updated. It also eliminates accidental dialing by locking the call button when the headset is not worn. Users also get voice alerts about remaining talk time, connection status, battery level and mute. GN Netcom’s portfolio also features a number of UC headsets in the BIZ, GN, Go and PRO series. Let’s take the Jabra Go 6470 Bluetooth Wireless headset system as an example. It is a multi-purpose headset that works with desktop, mobile and PC phones. It also features a touch screen with a smart setup wizard, automatic microphone tuning and phone compatibility settings, wideband sound (150–6,800 Hz), and the dual-microphone Noise Blackout system. As communications tools proliferate in the workplace, users will be increasingly tempted to seek to consolidate their communications endpoints. Headsets are becoming increasingly intelligent, providing some basic call-control capabilities and a single access to multiple communications devices (desktop, PC and mobile phones). As IT looks to consolidate systems at the back end, users will increasingly demand some consolidation at the front end. And who doesn’t want to be able to communicate hands-free – not just when driving, but also while in the office? Multi-tasking is the knowledge worker’s most common MO (modus operandi) and we are no strangers to typing, filing, viewing web pages or even handling some household chores while on hours-long conference calls. I believe, in the future, headsets will become the most common device among office workers. I have written some earlier posts on Mitel’s and Siemens’ strategies for the hosted IP telephony/cloud UC market. But there are others that have tapped into this space previously reserved for the telcos (ILECs, CLECs), MSOs, ISPs and some ASPs. I get a lot of questions about BroadSoft, Cisco, Microsoft, IBM, etc. I have now completed my study on North American hosted IP telephony and UC services markets and have some new insights to share. Unfortunately, the individual vendor analysis is too lengthy to post here, but I will share excerpts that more broadly discuss the value proposition of these new business models. A key new development in the hosted IP telephony and UC services market is the entry of PBX vendors with their own multi-tenant or virtualized (multi-instance) solutions designed specifically for carriers and partners or intended for service delivery out of their own data centers. Cisco’s Hosted Collaboration Solution (HCS) architecture, Mitel’s various hosted/cloud solutions and Siemens’ OpenScape cloud architecture are some examples of these new business models. These platforms are typically more feature-rich than the carrier softswitches and application servers traditionally utilized to deliver multi-tenant business telephony services, but they also offer some additional benefits. For example, Verizon’s UCaaS services based on Cisco’s HCS are positioned as most suitable for the highly demanding large enterprises who wish to integrate the hosted service with their existing Cisco premises-based infrastructure. Also, most of these new architectures are not truly multi-tenant, but are instead using shared hardware and dedicated software, thus addressing some security concerns associated with hosted services. The new business models are likely to cause some re-alignment in the value chain, with potential advantages and disadvantages for all market participants. Their impact on end users, however, is going to be mostly beneficial as they will be able to choose from a larger number of alternative solutions. For the supply side, the key benefit is ability to focus on core competencies – vendors will be able to leverage their software expertise, data center providers will deliver the most cost-effective server hosting and management, and the diverse range of service providers will focus on customer acquisition and ongoing management, as well as the integration of typical carrier services such as SIP trunking. PBX vendors: PBX vendors are likely to benefit from gaining access to a customer base looking to outsource both infrastructure and infrastructure management from a third party. They will also be able to deliver greater value to their channel partners by enabling them to generate recurring revenues by either hosting the platforms themselves or reselling services hosted in a third-party data center. Potential pitfalls for PBX vendors include channel conflicts, if the vendors are also selling hosted/cloud services directly; customer mismanagement, if tiers of support and responsibilities are not clearly defined; and some loss of professional and managed services revenues. Also, customer churn is likely to be greater compared to that experienced in the premises-based business. Telcos: Service providers stand to benefit from the opportunity to deliver hosted/cloud services to more demanding customers using advanced telephony and UC platforms previously only available as premises-based solutions. Also, they can realize cost savings and reduce time to market, if the solution is hosted in a third-party data center, as the deployment and integration of multiple servers and software stacks is typically costly and time consuming. Virtualized solutions such as Mitel’s Virtual MCD and Cisco’s HCS also enable them to provide more secure hosted services to customers requiring their own dedicated software while leveraging the benefits of shared hardware and a hosted model. Potential challenges for service providers include the need to maintain multiple versions of vendors’ software stacks (as in the case of Verizon’s implementation of Cisco HCS), and more limited ability to customize the solution when hosted in a third-party data center. Furthermore, the new business model lowers barriers to entry thus potentially leading to increased competition. VARs, SIs and MSPs: For VARs, SIs, MSPs and smaller LECs this is an excellent opportunity to expand their portfolio and generate recurring revenues by introducing hosted/cloud-based services without the cost and hassle of acquiring, integrating and running the systems in their own data centers. The cost and complexity of next-generation architectures has prevented this group of market participants from exploring hosted services in earnest. Now they can more successfully compete against larger telcos and premises-based solution vendors by presenting several alternatives to their customers – from premises-based systems, managed in house, to provider-managed on-premises solutions and fully hosted services. With their strong expertise in CPE installation, integration and management and typically better customer service and support, smaller, regional interconnects will now be able to serve their customers even more effectively. Business customers: Business customers will benefit from increased availability and diversity of hosted/cloud solutions. As more service providers introduce hosted IP telephony or UC solutions, businesses will be able to choose a partner from a broad range of providers – from large telcos with a substantial brand-name reputation to trusted local system resellers with whom they have long-standing relationships. The increasing competition is likely to result in more competitive prices and better customer service. Also, service offerings now include a large spectrum of alternatives – from low-end basic telephony offerings to comprehensive UC bundles and packages of tightly integrated communications and business applications (e.g. CRM). Furthermore, along with the cost-effective multi-tenant services, providers are now able to address the needs of businesses with high security requirements by using virtualized solutions based on shared hardware but dedicated software.